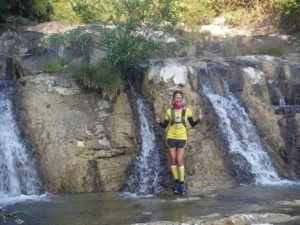 I am not even considered a beginner with only five trail running experience. 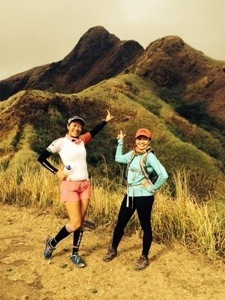 I started to join my friends from the local ultramarathon community in some of their trail runs at the last weekend of 2013. Here are FIVE things I’ve learned so far. Before you take off, make sure you have unloaded completely. Last decent stop. Next is after 5 hours. 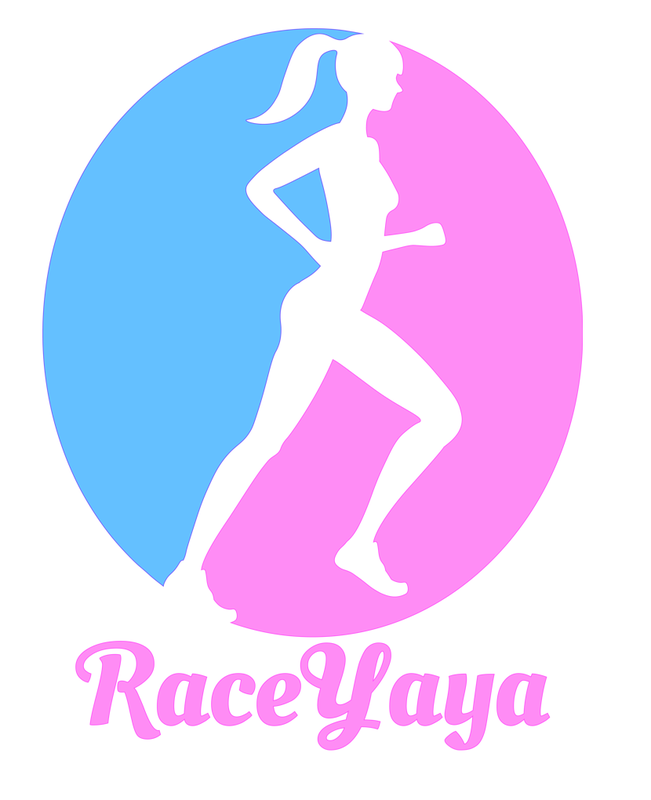 Not that it is an issue to me as I have learned to pee anywhere when I race ultramarathons. But trail runs are different, you might be in the middle of a narrow path by the ravine when you have to go, so it’s more unpredictable. The good news is there are streams of water along the route most of times to naturally freshen you up. I prefer to wear shorts as for a girl as it is easier to manage. It is hard to explain how so just email me at 2timothy.tin@gmail.com for more detailed instructions. You need to wear trail shoes. It should be supportive but flexible and has good traction and tread for the trails. 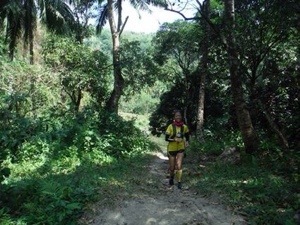 I have a trail shoes which logged enough mileage inside the box I took it out on my first 10K trail race in Tagaytay Highlands in 2011, in Brave Mudders in 2012 and on my first “Real” trail run last December 2013. Jael, Majo, Chito gave me tips on what shoes I should buy…. “if muddy, this is better. 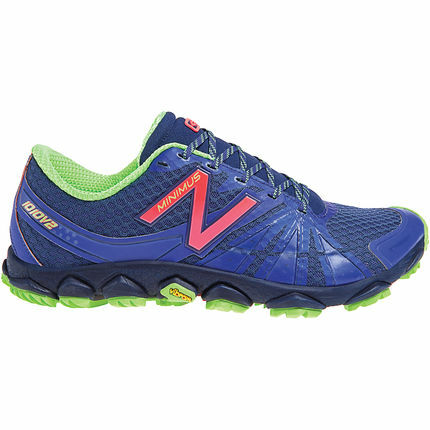 Salomon is like this and that…Innov8 is ideal for..New Balance is …etc., etc.” I am not yet geeky in terms of trail runs so I looked at Jael’s shoes and thought it looks good; New Balance Minimus it is! I went searching for a New Balance pair in Planet Sports. I got this one and so far it has been serving me well. Aside from a good deal on the shoe purchase, my receipt for this entitles me to a free yoga at Planet Sports BGC this March. For the most part of the trails that we went to, phone signal is intermittent. I got lost the first time I went with Jael and Chito and I had to trace back to a place where there is signal so I can text or call them. It saved me from the burden of looking for them and the two from worrying about my whereabouts. It is useful for emergencies. You wouldn’t want to miss a photo ops here…. Since your phone is practically useless inside the trails, you can always use it to take pictures and videos. 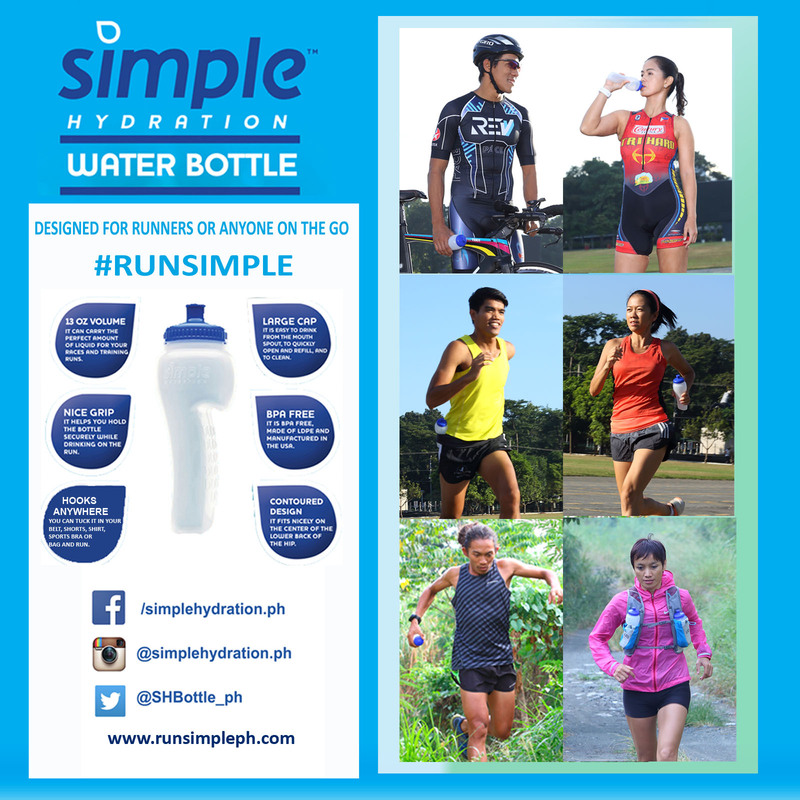 Thanks Ronnel, Chito, Rene and Jael for the photos I used in this post! Be prepared. Get dressed for the unpredictable elements as weather can go from hot to rainy. My Compressport Triathlon shirt as it is highly breathable, stays dry, doesn’t irritate or chafe and is comfortable to wear whether it’s chilly or hot. Shorts – I wear any shorts; usually the ones that are old as they really get dirty and muddy. The choice would depend on the color of my calf sleeves. Lol! I tried wearing the Compression Triathlon Shorts. It is great except that it is harder to manage when nature calls which I shared above. Headbands – I always wear my nonslip Chica Bands. Aside from it looks cool, it also keeps my hair off my face. I even swam with it in Tinipak River. Visor – If there’s less shade in the route like Mt. Batulao, I use a visor. Shades – Sun can really be glaring on the trails so you should have one. I forgot to wear mine the first time and I have to cover my eyes with my hands on portions when we traverse tall grass. It keeps hitting my face. 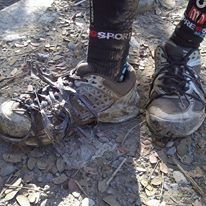 Socks – Instead of wearing regular socks I use my bike socks in the trails to make sure small stones don’t get inside. 9. 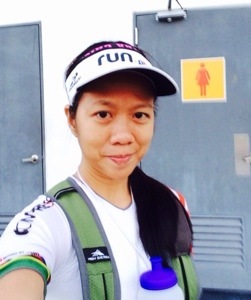 Bag and hydration – I use a high Sierra bag which is a gift from my cousin. It’s a bit heavy so I might need to replace it soon. Inside it is one simple hydration bottle, trail food and a shirt (I used to have hand sanitizers and alcohol in it pa before!) one bottle is tucked in front for easy access. 10. Bandana – I always wear a bandana cause my nape is really sunburned already! Other than the protection from the sun, it helps my body temp cool down. I use Chiller Bandanas. I put the chiller ice inside when it gets really hot. Train: You have to be prepared! You climb another mountain, after climbing one…then climb another one…. It is a different game in itself. You maybe a fast road runner but the trail shall humble you. You may have finished 100 kilometers on the road but a 100 meter ascent shall eat you. I was humbled and eaten alive and I know I have to TRAIN! I am blessed to have friends who let me tag along with them in their training. They wait for me and teaches me some techniques. 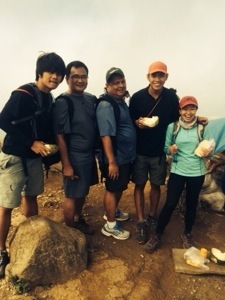 Jael, Ronnel, Chito, Sir Rene – I owe you my trail running ‘career’. Chos! I may not be able to repay you for your efforts but I will pay it forward. Here are some video compilation of my trail running adventures so far…. I am also grateful to fellow runners who are trail masters. They unselfishly give me trail run training tips – Xterra King Hector, H1 Champ Majo and probably the one of the most experienced utramarathon trail runner, Attorney Jon! Siguro naman, matututo na ko niyan, di ba! I am finding my roots back…. THE BEST LESSON I HAVE LEARNED SO FAR…. Meet Joanne. 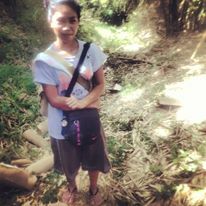 She lives in the mountain of Montalban. Everday she walks to school for an hour in the morning and for three hours in the afternoon. Met her in the trails and she showed me the way for about 30 minutes. Yes, in her tsinelas. I have no right to complain of how hard the trail route is or moreso when life gets hard outside the trails. May God bless her.